If your planning such a journey or something similar, I know what a big help it is to find resources and ideas on what to add to your adventure bike or what to take, so after my own long and strenuous research and experience, I’ve compiled a list below of my own modifications to my KLR and suggestions of my own, and if you don’t really care, then it will serve as a funny read. and if you need more help visit YourExpeditionSouth.com, your solution to Motorcycle travel consulting for Latin America. My choice for such a journey is none other than a Kawasaki KLR 650. Not too big and not to small engine size for all Latin America. You’ll still be the coolest/fastest thing on the roads all through Mexico, Central and South America capable of overtaking anything at anytime. 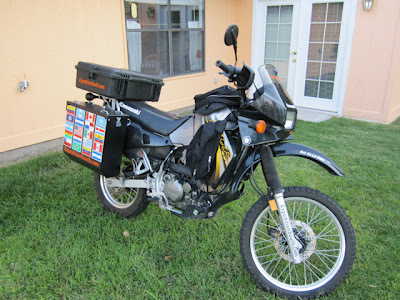 Because instead of buying a BMW 1200 GS Adventure with panniers out the door for $20,000, and having it sit in the garage because you have no money left or a KTM as well, which I've seen have a tendency of having lots of issues. 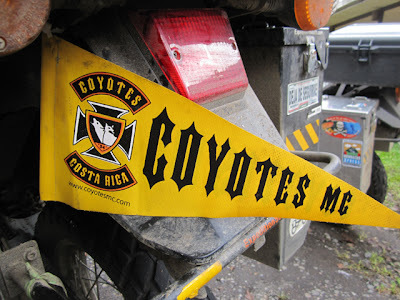 For the same price you buy a used KLR 650, deck it out with anything you want, and you’ll have enough left over to fund an entire Latin America trip for the next 8 months and then some! 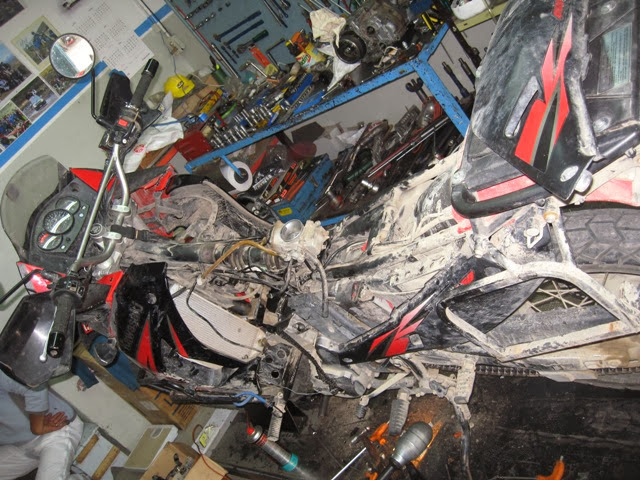 And you won't be sweating the nights you have to leave your machine outside worrying about loosing $20,000 instead of $3500 or won' t be too touchy when the drunk guy comes over at 3 in the morning and accidentally knocks over your beautiful bike. 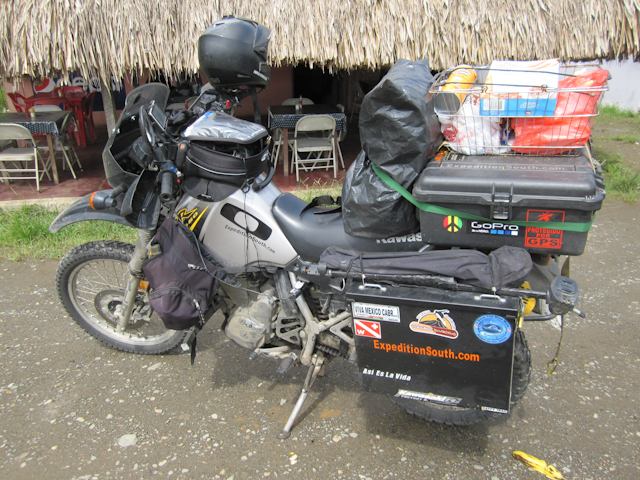 And if you are worried about maintenance and braking down, yes the KLR will take a bit more work to maintain than a BMW or KTM would and might give you more maintenance issues, but you will never be short of a mechanic in all Latin America that can work on your carburetor run single cylinder KLR and for cheap too, able to fix almost any issue for you while you’re having a beer next door, and if your kind you can bring your mechanic a beer too, but if your in Argentina bring him some matte, AKA – green tea. Most mechanic around these parts will have worked with similar 250cc Hondas all their life and will certainly be able to help you fix anything, as well you'll be able to find almost any part you need or they will be able to fabricate something to fix you up, as was my experience in Peru when they didn't have the proper tools and right sized fork seal. 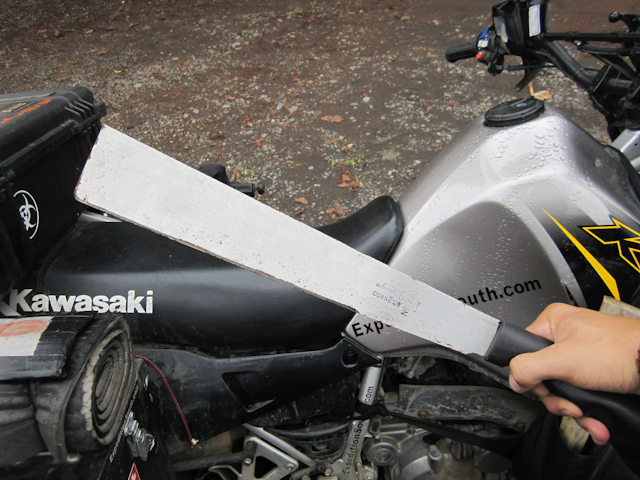 They fabricated the tool and used a fork oil seal from a Honda 250cc and modified it to fit my KLR, and it worked like new! 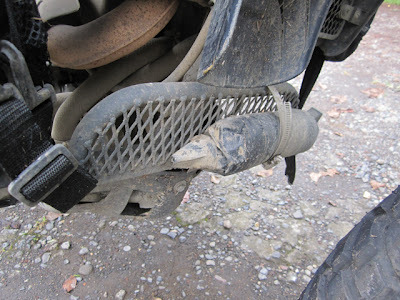 If you need work on your BMW or KTM, good luck finding a licensed mechanic outside the capital of whichever country you are in, as well to find the proper tool, non existent parts and replacements etc. Also, if your drop your lovely BMW 1200, you’re going to need two people to help you pick it back up, not such a good deal when your all alone in the Bolivian altiplano, I can assure you. Not to mention that if you plan to do some trail and off road driving, you will suffer from such a heavy bike like the BMW. Don’t get me wrong, you’ll be super comfortable on the highway with your cruise control, nice seat and optional handle bar warmers, but are you looking for a luxury sedan to drive only paved roads or an adventure where you see an interesting dirt road leading into the some of the most beautiful scenery you’ve ever seen? 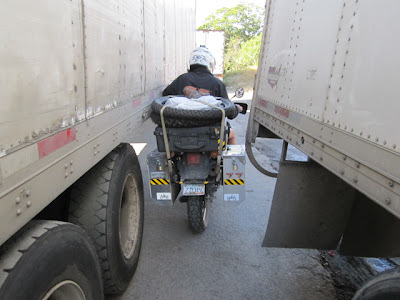 And most importantly if you want to save hundreds of hours driving, a KLR with Cascades Panniers will allow you to just barely be narrow enough to squeeze through endless amounts of traffic and accidents, believe me when I say one of the biggest benefits to this set up is that fact that you can cut through traffic along with locals on their 125cc bikes. 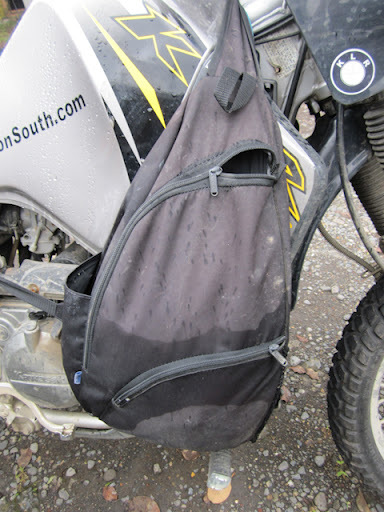 A BMW with Tortech panniers or the Teton panniers from happy trails will leave you behind big trucks and buses eating fumes all day! 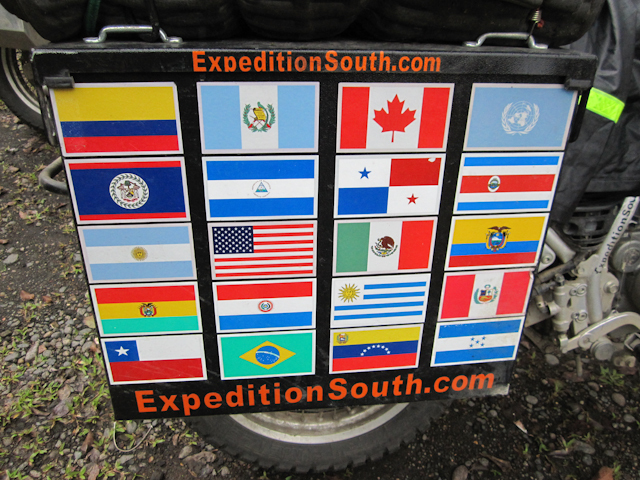 List of gear and equipment for a KLR for a Latin America journey. Here are a list of documents I made for a fellow rider with my own set up on the KLR and what to take on such a journey. 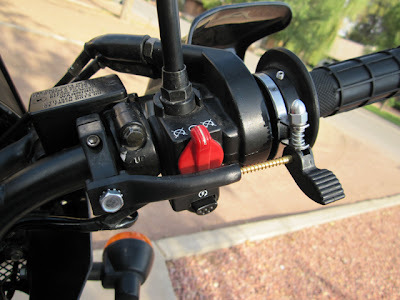 These are some suggestions and ideas for your KLR and/or bike, some are serious, others ridiculous, some intriguing and some brilliant! 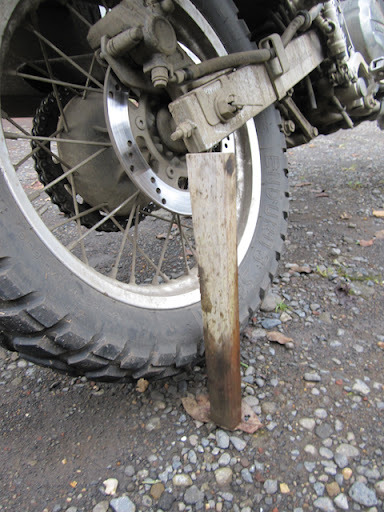 -My patented stick that will save your overloaded KLR from tipping over and also serves as a rear stand to prop up your rear tire and front tire as well to change. 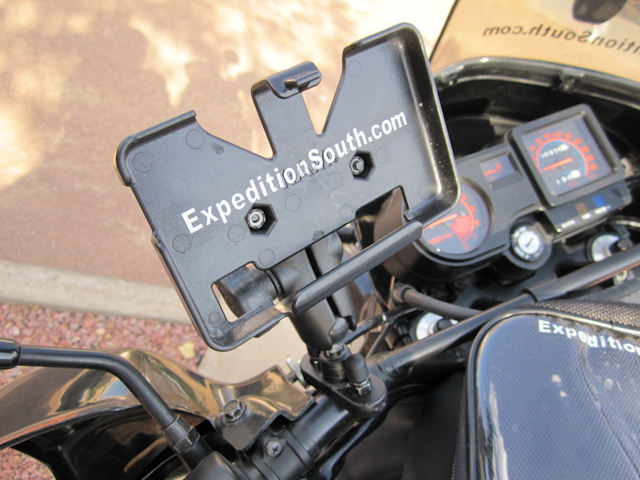 It'll save you $150 from buying the center stand and works just as good. 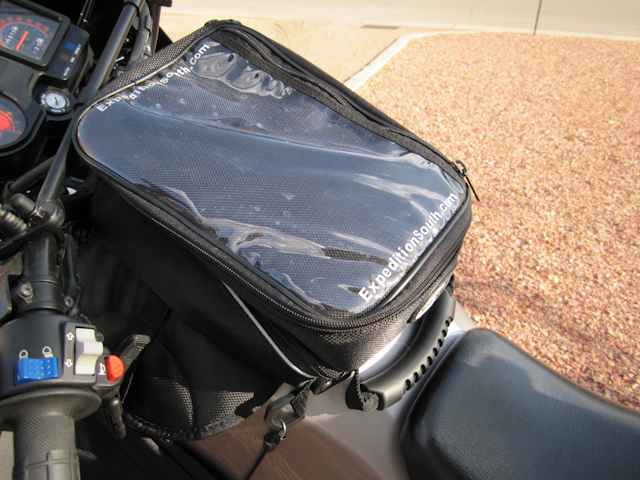 A small tank bag, not too big as for males are concerned, your buddies will be very uncomfortable for 8 months! -Slime liquid tube sealant (wrapped in black duct tape for protection) for emergencies when you get a flat and need to get out of there ASAP! -If your not going alone, definitely some Scala G4 communicators, so you can tell your buddy ahead that you just wrecked and need some help lifting the bike off your leg. 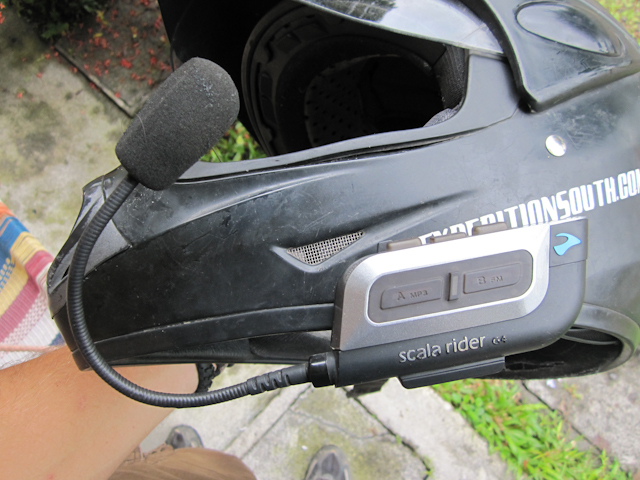 -GPS Mount with optional GPS. Believe me when I say that a GPS will pay for itself in gas you save from getting lost. -Side Tank bags from Goodwill for $2 – also known as Diaper bags they give out to women at hospitals as I later learned. It'll save you $100 or more buying those Wolfman bags that are just as non water proof as these. -Mandatory motorcycle club flag to make you look cool! There are much more on the documents you can download on this page, be sure not to miss them! There is so much information I would like to give everyone, but I could write an entire book if I did so. Please click here if your interested in more! My biggest suggestion is don’t worry too much about what you don’t have, want or think you need. 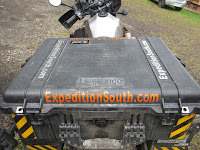 The best thing about an adventure like this is to go unprepared, acquiring tools and things as you go along the road. 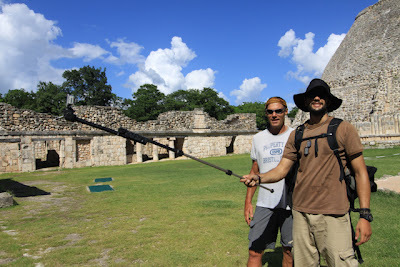 People will give you things, you’ll interact with others to help you out, you’ll find interesting and unique things everywhere you go you can pick up and you’ll adjust to anything you’re faced with, that’s a major part of the adventure! Most people you encounter will be more than happy to go out of their way to help you out and do what they can for you. If would like a more detailed description on a bike and all aspects of a journey like this, I’m available for consultations, please contact me.